Every traveller should have these with them. 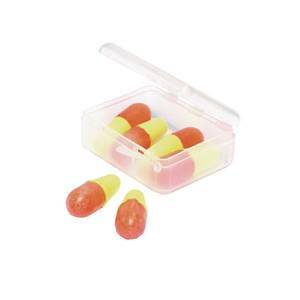 Block out unwanted noise on planes or in hostels with these soft foam travel ear plugs. They fit snugly to the shape of the inner ear to reduce noise disruption. The hygienic plastic case contains three pairs.